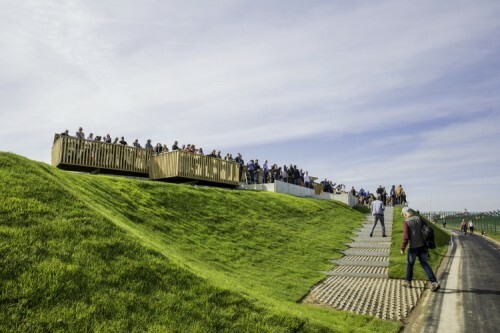 BRUSSELS, Belgium, 2018-Apr-20 — /Travel PR News/ — Along with hundreds of plane spotters and officials from the neighbouring municipalities of Steenokkerzeel and Zaventem, Brussels Airport has inaugurated two spanking new plane spotting platforms. Apart from offering a great view of the airport, the platforms allow aviation enthusiasts to engage in their favourite pastime in all safety. The spotting platforms have been named after the take-off and landing runways they look out over, 01/19 and 07R/25L. This entry was posted in Airlines, Airports, Attractions, Tourism, Travel, Travel Safety, Travel Services, Travelers and tagged Arnaud Feist, aviation enthusiasts, Brussels Airport, plane spotting platforms. Bookmark the permalink.